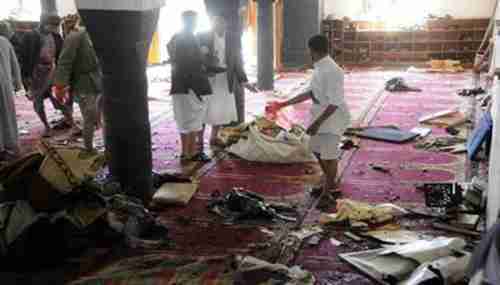 Suicide bombers on Friday in Yemen blew up two busy Shia mosques in the capital city Sanaa, during Friday prayers when the mosques were packed with people. At least 137 died, with 357 injured. As I reported yesterday, the war in Yemen widened when Iran-backed Houthis, who took control last year of the capital city Sanaa, expanded it by attacking targets in Aden in the south of Yemen, where Abdu Rabu Mansour Hadi, the Sunni internationally recognized president, had fled. The Islamic State (IS or ISIS or ISIL or Daesh) has taken credit for the attack. However, it is believed that the actual perpetrators were a local anti-Houthi terrorist group that has linked itself with ISIS. ISIS has become a brand name, and any terror group rebranding itself as ISIS gets them attention, money and recruits. Al-Qaeda in the Arabian Peninsula (AQAP), which is headquartered in Yemen, condemned the attack because it targeted mosques. However, that al-Qaeda linked Taliban in Afghanistan regularly bomb Shia mosques. I have been watching the political circus these last few weeks with a great deal of bemusement. 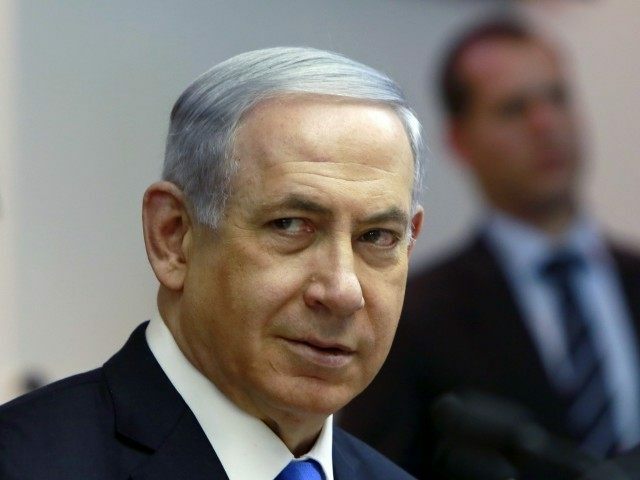 I take no position on whether it was a good idea or bad idea for Republicans to invite Israel’s prime minister to speak to Congress, and the same for Congress to send a letter to Iran’s Supreme Leader Ayatollah Seyed Ali Khamenei. What has been astonishing is to watch the almost hysterical overreaction by the Administration. If they had simply issued a statement like, “The Republicans have a right to do these things, but they’re not helpful,” then they would have scored points without embarrassing themselves and making themselves look like petulant teenagers. I think that anyone who is going to establish a Palestinian state and open up territory is giving radical Islam a space to attack the State of Israel. Whoever ignores this is burying his head in the sand. This is actually a perfectly reasonable statement, based on Israel’s experience since Gaza was evacuated in 2005. But, once again, the reaction from Washington was close to hysterical, with hints that the Administration might turn against Israel in the United Nations, or even cut off aid to Israel. In fact, this is exactly what I have been saying time and again for 12 years. The very first Generational Dynamics analysis that I posted, in May 2003, was that President George Bush’s brand new “Mideast Roadmap to Peace,” which advocated a two-state solution by 2005, would fail, because the young generation of Palestinian militants would never allow it. That has been proven true time and time again, and today it is so evidently true that it is hard to believe that anyone could possibly believe that a two-state solution is possible. When I wrote it in 2003 it was a novel prediction, but today you would have to be crazy to believe that a two-state solution is possible. So now Netanyahu is saying what I have been saying for 12 years, and the reaction from the Administration is threats and hysteria. This is highly personal for me, as I have discovered that as one Generational Dynamics prediction after another comes true, I become the target of scorn and abuse, usually by people who absolutely no idea what is going on in the world. Being right means nothing to these people. So one might ask why Generational Dynamics is right in one analysis and prediction after another, while mainstream politicians, analysts and journalists are wrong at least half the time. They don’t do their homework. Back in 2006, the Congressional Quarterly did a survey of Mideast ‘experts’ in Washington, and discovered that they didn’t know the correct answers to simple questions like the difference between Sunni and Shia, or whether al-Qaeda was a Sunni or Shia organization. The London Times followed up with a similar survey in London, with similar results.I see this all the time in mainstream articles. The author is too lazy to do the research necessary to support his article. I typically look at and save copies of 20-40 articles from multiple sources for each World View column. Also, I try to find articles that talk about what the PEOPLE are saying, not what the politicians are saying. So if I’m writing about an event in Pakistan, I’ll read as many articles as I can find FROM PAKISTAN, as well as articles from other sources that I trust. It’s particularly helpful to listen to on-site reports from reporters on BBC or al-Jazeera, because they often provide analyses that don’t make their way into print. I don’t want to risk the humiliation of getting anything wrong. And if I do make a mistake, I apologize and correct it immediately. Mainstream politicians, analysts and journalists do little research, and when they make mistakes they become defensive and abusive to anyone who points them out. I doubt that any of them could tell you anything about the Battle of Karbala, or about Iran’s Constitutional Revolution. If you know nothing about these things, then you’re going to make one stupid mistake after another, just as you would if you were writing about US politics, but know nothing about the Civil or Revolutionary wars. You will be incredibly stupid about the present if you know nothing about the past. They only listen to politicians and each other. This is related to the previous point. If you’re too lazy to do research, then the easiest thing to do is to just quote a liberal politician (if you’re liberal) or a conservative politician (if you’re conservative) or another journalist who thinks like you. That’s the stupid leading the stupid. As I’ve pointed out many times, it’s a core principle of generational theory that even in a dictatorship, major policies and events are determined by masses of people, entire generations of people, and not by politicians. So, for example, Hitler was not the cause of WWII. Iran’s Supreme Leader is not going to make the final decision on whether Iran develops a nuclear weapon. If you want to understand what’s going on, you have to understand what the people think, not what the politicians or your friends think.The reason that mainstream politicians, journalists and analysts are so frequently wrong is because they’re too lazy to do research, so they listen to each other. I would tell these people (for all the good it will do) is that you have to do all the research, and you’ve got to stop listening to politicians and to each other. I have seen this same behavior from Gen-X managers in the computer industry. As a software engineer, I know that the worst person to work for is a manager who has taken a couple of computer courses in college and thinks he’s smarter than everyone else. These are the people who cause the disasters that are characteristic of Generation-X, and many Boomers as well. I have personally seen these disasters occur when I was working at General Dynamics, Digimarc, and Ability Networks. And the greatest IT disaster in history, Healthcare.gov, was filled with managers who pocketed almost a billion dollars on a $25 million project that still doesn’t work right, for the same reason. I’ve written several stories about these and other disasters, and there are more stories that will come at the appropriate times. The Mideast is headed for a new war between Jews and Arabs, refighting the genocidal 1948 war that followed the partitioning of Palestine and the creation of the state of Israel. Now let’s apply all of the above to understand the Administration’s hysterical and abusive reaction to Netanyahu’s statement that there will be no Palestinian state on his watch. President Obama and Secretary of State John Kerry are abysmally ignorant about what’s going on in the world. They only listen to each other, and they’re abusive towards anyone who disagrees with them. They think that all they have to do is get a deal with Palestinian Authority president Mahmoud Abbas, and the two-state solution will be immediately solved. They have no concept about the fact that younger generations of Palestinians, especially in Gaza where the median age is 17, will never accept any such deal, which means that such a deal is impossible. They think that all they have to do is get a deal with Iran’s Supreme Leader, and Iran will not develop a nuclear weapon. They completely oblivious to the effect of Saddam Hussein’s recent WMD attack on Iran, and they have no clue the vast majority of young Iranians demand a nuclear weapon for self-defense. Since their opinions are patently absurd, they’re constantly facing the fact that none of their policies works. The Obama-Kerry team have had one foreign policy disaster after another. And when something goes wrong, it creates a severe case of cognitive dissonance in their minds, and they resolve it by identifying someone who’s “the problem,” and become abusive and even vindictive toward that person. Neither of these policies — the Palestinian policy or the Iran policy — can possibly ever work, and they’ve identified “the problem” as being the Republicans and Benjamin Netanyahu. The ancient Greeks understood how all of this works, which is why they created the story of Cassandra and the Trojan Horse. When the citizens of Troy not only ignored Cassandra but treated her abusively, they paid the price by being nearly exterminated. Today, I’m the modern day embodiment of Cassandra, and on this one issue, apparently Netanyahu is Cassandra as well.